A dark story about madness and isolation aboard a diseased indenture vessel in 1880. Inspired by an original ship’s surgeon’s report in the British Library archives, and this post on the British Library’s Untold Lives blog: Cholera on the Emigrant Ship ‘Sheila’. I wanted to use the image of a quarantined ship to convey my feelings about where we are as a species. We left Calcutta a long time ago, but we can’t quite dock in Suriname. The harbour is just out of sight over the horizon, we can feel it there, we wonder about what it might be, we thoerise and theologise, but we can’t get there. 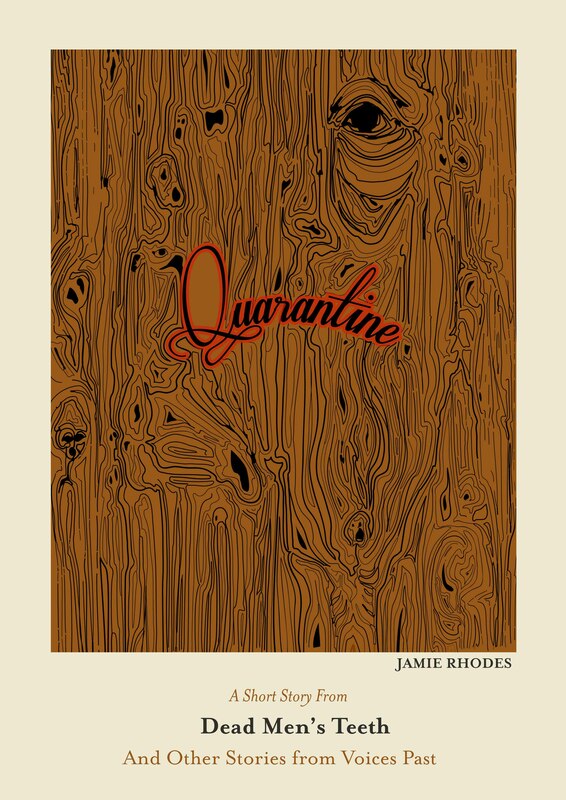 What is the disease that keeps us in quarantine? I don’t know. Maybe it’s all the negative aspects of humanity that we need to iron out before we can go any further. Hopefully it will all become clear when we die. Maybe then we can finally dock in Suriname. We’ll laugh as we pull into harbour and think ‘Of course! Duh, I knew it was something like that!’ But then, annoyingly, it won’t matter anymore. We’ll be dead. – Jamie Rhodes. The ‘Untold Lives’ blog post that inspired this story is about a ship’s surgeon’s report that can be found in the British Library collections. There was an outbreak of Cholera on the indenture vessel sailing from Calcutta to Suriname, and the ship was held in quarantine outside of Suriname for three weeks whilst the disease ran its course. The original report details what was eaten when and how many people had died, and this is used as a starting point for the story. “It would be three months before the quarantine officers came to inspect the health of any survivors. Hopefully then the quarantine would be lifted. If I was sparing I should easily have sufficient water for that time, but my meagre food rations would be more difficult to stretch. Sealed inside, I surveyed the wooden crypt that would be my world until the disease had run its course.” – Ship’s Surgeon, Quarantine.